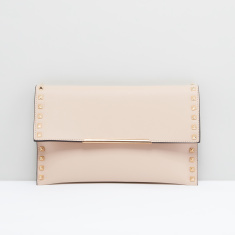 A perfect accessory for the evening, this satchel bag has a timeless design. 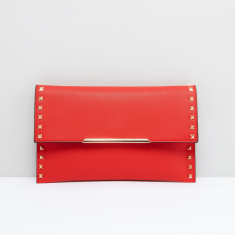 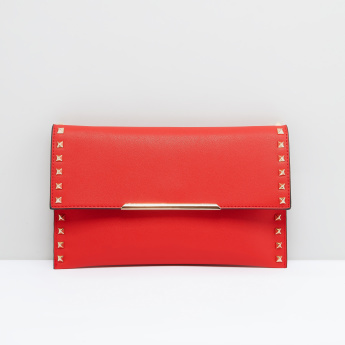 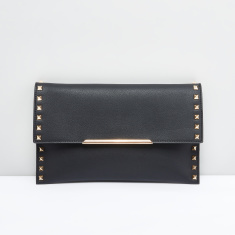 The studded detail adds a touch of style to the bag. 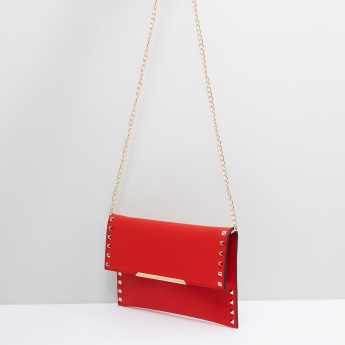 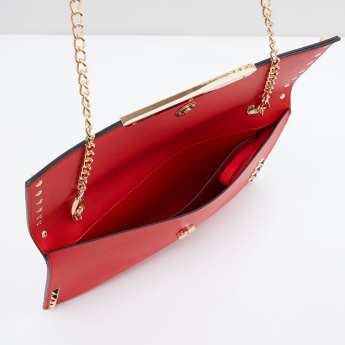 The magnetic snap closure secures the contents while the metallic chain offers the ease of carrying the bag around.